Presenting you a fusion of African, European and Indian influences, Mauritius is a land worth a lifetime visit. If it is your honeymoon, the tour will be a lifetime experience for you to cherish. Making an advance booking for Mauritius honeymoon packages from Bangalore or anywhere else in India would be a good idea. The beautiful island world is a nation in Africa continent known for its lovely beaches, lagoons and coral reefs, thrilling water sports activities, islands, magnificent backdrop and above all tranquility in fusion of romance that you need most for the duration of honeymoon and romantic voyage. Here are some of the best places to see and things to do in Mauritius during your honeymoon trip. 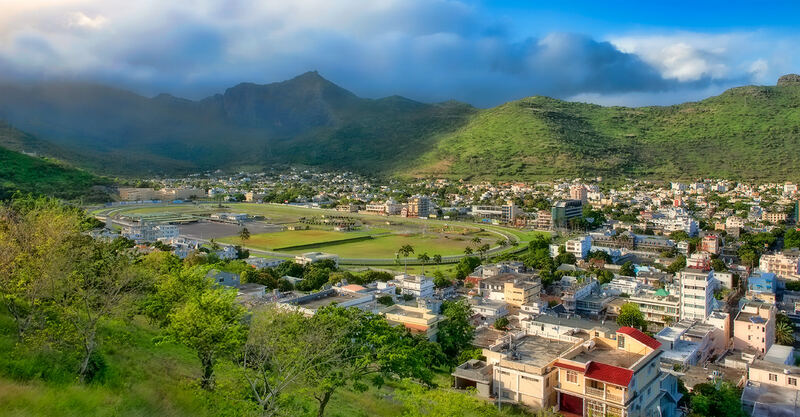 A beautiful city and capital of the nation, Port Louis is a hub of several cultural attractions. Not to mention the Blue Penny Museum that is a home to world’s first colonial stamp where you can see an ancient dodo Skeleton too. On the first floor of this museum, you will see the Natural History Museum. You will also see churches, Mosques, Chinese and Indian temples from the citadel. 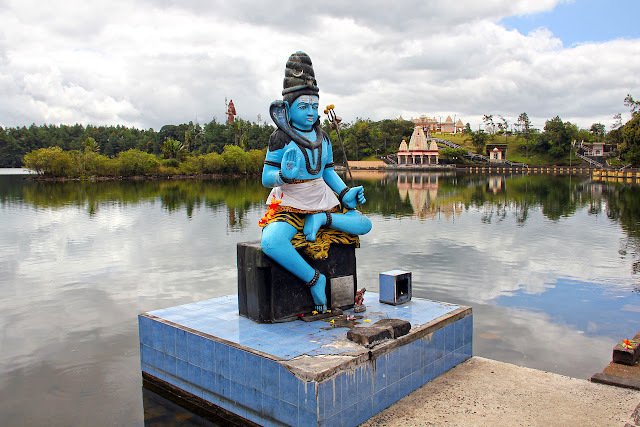 A beautiful lake high in the mountains about 1800 feet above the sea level, it is a sacred Hindu place on the island of Mauritius where you will see a temple of Lord Shiva. It is believed that the holy water from Ganga was taken here. This is the main reason; it is called as very sacred. Champ De Mars race course is something that you cannot miss during your honeymoon in Mauritius. You can have a flutter on horses; while you can enjoy the electric atmosphere at the Champ de Mars. Called as the highest waterfall in Mauritius at 100 meters, the naturally beauty spot is the perfect photogenic place. 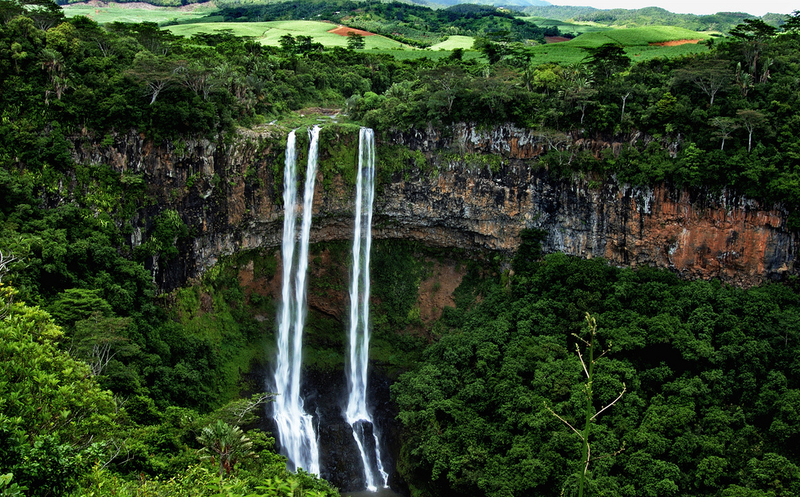 You will take a look at the breathtaking waterfalls. Your trip is combined with a visit to the Seven Colored Earth – that is made up of sand dunes of different distinct colors that include red, browns and purple. Volcanic rocks have created these dunes by cooling at different temperatures and crushed into sand which then settled into different colors. A beautiful national park spread in approx 6574 hectares of land is ideal for hiking its trails to view the native forests and wildlife. 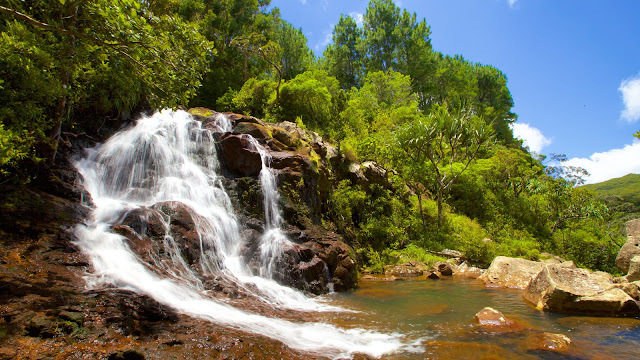 You will see thick forest that include more than 300 species of flowering plants and if you are lucky enough, you can see pink pigeons, bird endemic to Mauritius that almost became extinct. If you’re looking for thrills on your luxury holiday to Mauritius, why not try the ultimate adrenaline sport and jump out of a plane. 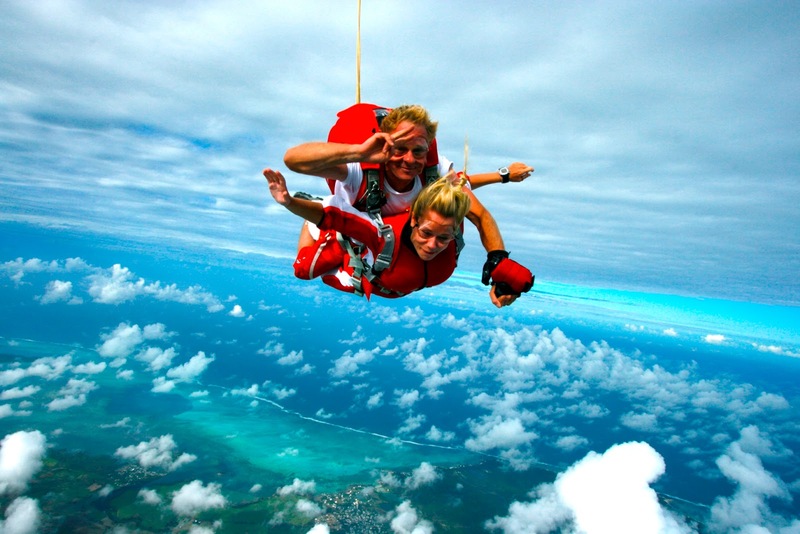 At Skydive Mauritius you can tandem skydive for spectacular views of Mauritius from the air, including lush green forests and turquoise blue waters. Skydiving for the first time is an unforgettable experience and when you combine that with the views over paradise on Earth, a Skydive in Mauritius will stay in your memory bank forever. A beautiful and cosmopolitan resort, it is famous for its vibrant nightlife, restaurants and shopping options; while it is also ideal for romantic couples who want luxury at its best. 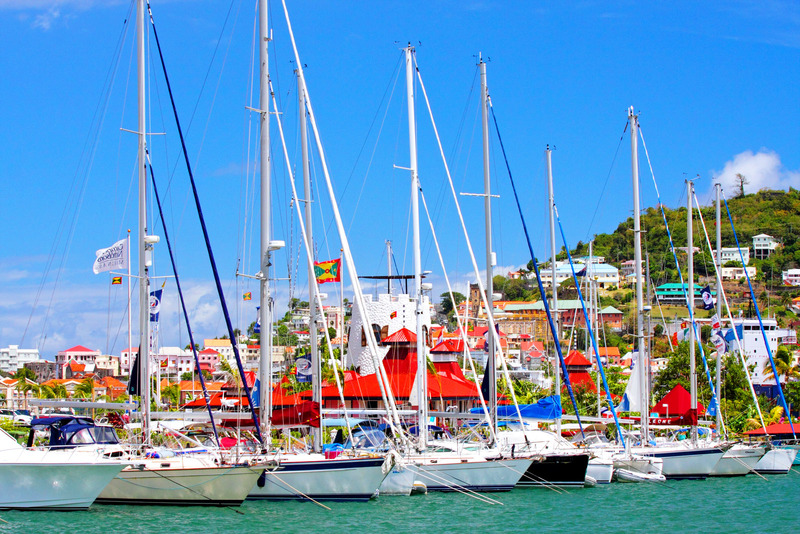 You will also enjoy diving, sailing, waterskiing, windsurfing and other sports here. 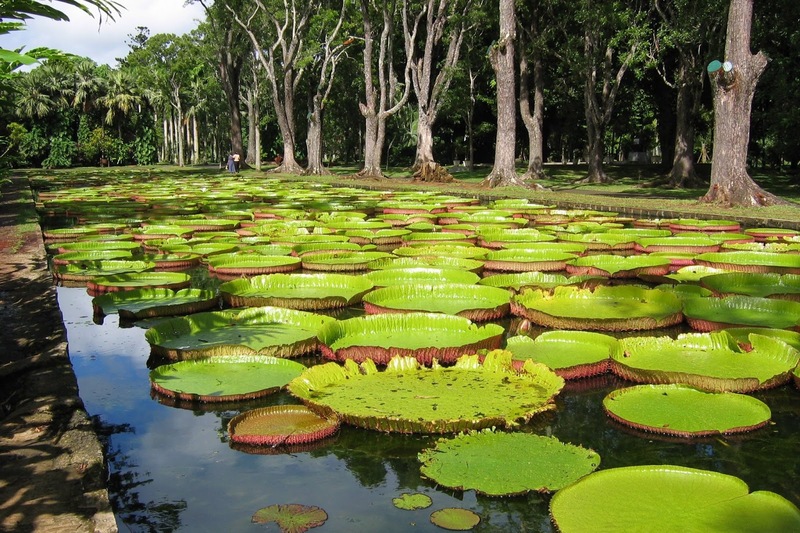 A beautiful botanical garden that is also called as Sir Seewoosagur Ramgoolan Botanic Garden, Pamplemousses Botanical Garden is in 60 acres of land - featuring a number of varieties of palm trees. You will also see a lily pond with tadpoles and frogs, fruit bat trees with bats hanging from the branches, lakes with giant turtles and fish, plus trees planted by famous figures including Nelson Mandela and Indira Ghandi. It is another wonderful attraction where you will see crocodiles along with other creatures that include giant bats, giant turtle, monkeys, huge insect collection and a rich flora and fauna. It is another large island off the East coast of Mauritius with spectacular white sandy beaches, palm trees, waters all shades of blues and of curse photogenic blue lagoon. A restaurant at this island is a place to enjoy local dishes; while luxury suites of Le Touessrok Mauritius are sure to take you to another world of luxury. Standing in the list of top 10 things to do in Mauritius, exploring lovely and picturesque Mauritius beaches is certainly a good way of having more fun. 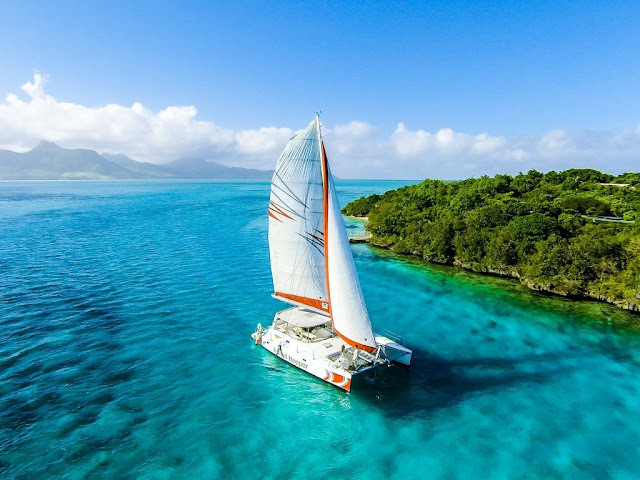 The beautiful nation has been boasting of some of the finest beaches in the world like Belle Mare Beach, the Hidden La Cuvette Beach in north, Le Morne – the rugged beach of South and various others. There are a number of other pleasant and picturesque destinations that you can see and explore during your holidays. You have to choose the right tour package that is ideal for you, go through the details and make an advance booking. Smart Holiday Shop is a one stop reliable travel agency with specialization in honeymoon packages from where you can book Mauritius honeymoon packages from Bangalore Smart Holiday Shop or anywhere else in India. 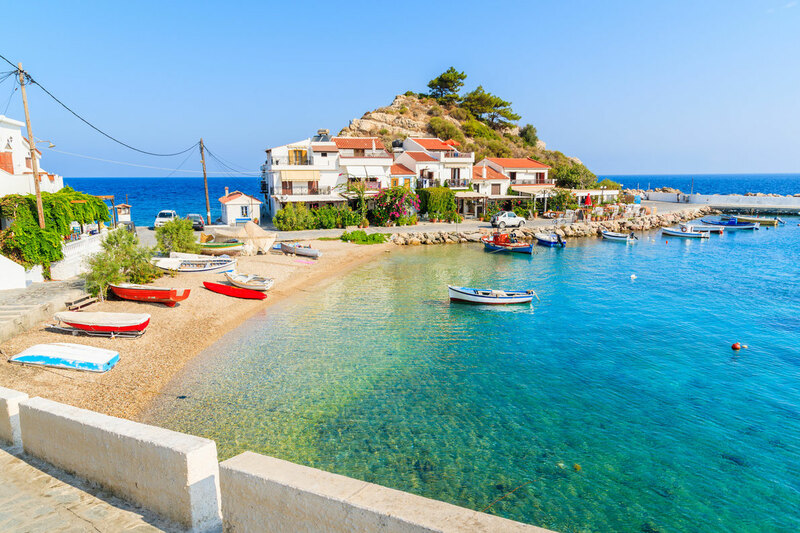 You have to choose the right tour package that is convenient for you, go through the day to day tour itinerary and then make the right decision to choose the package that is convenient for you. Customized tour packages are also offered to you that will go well your budget; while you can contact from anywhere and anytime. From the most luxurious accommodation in honeymoon suites to pick and drop, sightseeing, provide you more privacy, candle light dinner to a lot more is waiting for you. Every minute of your tour is special for them and they make it ever more special by offering world-class facilities and services. So, don’t go anywhere, get the latest Mauritius honeymoon packages form Bangalore or any other city in India.